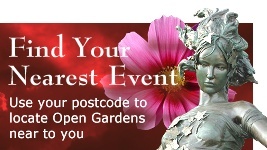 Sherborne has numerous walled gardens and many of these are open for charity on this weekend. 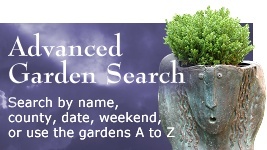 Amongst the gardens available to visit are a wide variety of sizes and styles of planting. We have three very old properties whose gardens are mature, one of which is described as a burgage garden with views over the castle and has part of a wall dating back to the 14th Century. These are contrasted with a collection of modern properties whose gardens have evolved over the last ten years and include both traditional and modern styles of planting. Modern Italianate style planting can been seen next to a Cottage style with clipped Box and Yew. Included this year is a garden that has won many awards, notably in 2010 it was given the title of "Best Surprise Garden" by Sherborne in Bloom and has earned a top five place and a Special Merit from Dorset Wildlife Trust. Teas will also be available in one of the gardens to enjoy as part of your visit. Proceeds from the event will go to Marie Curie Cancer Support and Weldmar Hospice Trust as well as some local charities in the town. 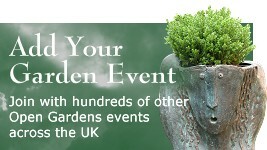 Season tickets covering the whole weekend are £8.00; individual gardens can be visited for a minimum donation of £1.00. Tickets are available from Sherborne Tourist Office or Castle Gardens, also at garden gates on the day. Head for the bottom of Cheap Street (the main shopping area) and find Long Street, opposite the old Conduit - there are four gardens on Long Street, so start your tour there. There is usually free parking in Digby Road, alternatively Sainsbury's offer two hour parking for 50p.